The wonderful Spring weather is here in the Smokies, after a brutal winter that ended with multiple days of rain and flooding throughout the Eastern United States. Tourists and locals alike are celebrating the Sunny weather with temperature in the mid-70s. This is perfect weather for hiking, photography, ziplining, shopping, go-carts, and all outdoor activities. 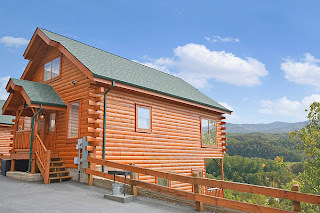 Many Spring time visitors like to reserve the log cabins that are creekside or that have mountain views to enjoy the great outdoors and take in the fantastic weather. Generally, the outdoor swimming pools open Memorial Day Weekend in May, but many of the vacation cabin rentals now have private indoor pools or indoor pool access year round. Grilling outdoors is an other American favorite pasttime. BBQ your favorite meal or have an outdoor picnic with your family to get the Spring started out right. Does anyone have a favorite recipe to share? Hot dogs, hamburgers, BBQ Ribs & Chicken, Bratwursts, and other meats are all good items to bring the family or friends together. Most cabin rentals offer park-style grills (charcoal use) or gas grills. Spring Break is known for the cookouts and friendly gatherings. 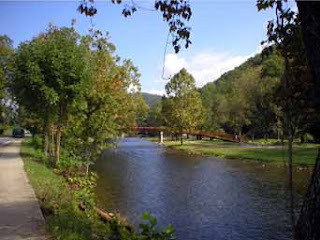 We look forward to seeing you in the Smokies this Spring!